SOS provide seating systems and wheelbases to hundreds of people with complex postures every year. We are passionate about what we do and our clinic managers are always happy to help. Every now and then we receive testimonials and thank you messages from our customers, telling us how much they love using our seating products. We would like to say a big thank you to Pippa for sending us a Postcard with a lovely thank you letter to Mark Henderson, the SOS clinic manager who took her through the assessment process. 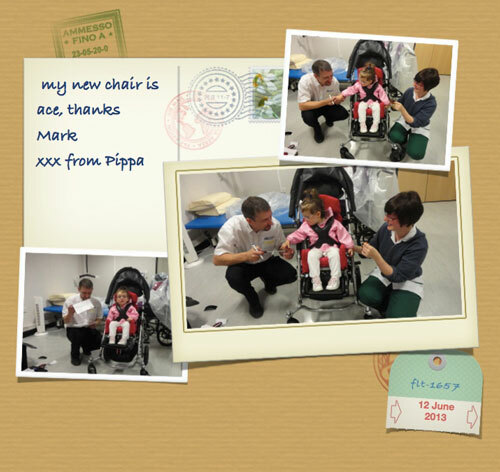 We are thrilled to hear that Pippa loves using her new comfortable SOS seating system.